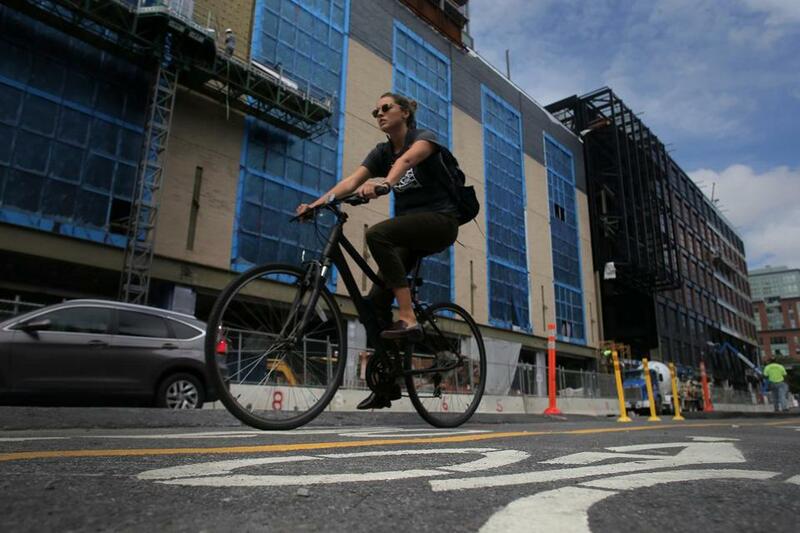 A cyclist on the new protected bike lane on Causeway Street. After another bicyclist fatality, this time in front of the Museum of Science on Friday, can anything be done to improve cycling safety in the Bay State? Yes, say bike advocates. Except one of the most crucial fixes isn’t on bicycles, but trucks. In Friday’s accident, at a side street intersecting with the heavily traveled Charles River Dam Road in front of the museum, Boston University graduate student Meng Jin was on his bike at the right of a dump truck waiting to make a right turn. When they proceeded, Jin was overrun by the truck’s rear wheels. It’s the same scenario as in the highly publicized 2015 death of surgeon Anita Kurmann , hit by the rear wheels of a turning truck at Massachusetts Avenue and Beacon Street in Boston, as well as other fatal encounters of cyclists and pedestrians with trucks nationwide. That’s sparked calls for side guards — frame panels installed under truck beds to keep humans and vehicles from going under high-riding trucks. Side guards are effective at reducing serious injury in collisions, and the safety concept isn’t new. Nor are attempts to require them. In 2014, the Boston City Council passed the nation’s first ordinance mandating side guards and enhanced mirrors on all large vehicles owned by, and doing business with, the city. Cambridge has followed suit, and legislation has also been introduced in Congress. This summer, the Massachusetts Senate passed a similar bill. But it’s stalled in the House, where passage isn’t expected this year. Another cyclist is killed. Our streets need to be safer. Now. When it comes to road design for safer streets, the cost-benefit analyses that drive policy decisions are badly broken. There are arguments against side guards. They add weight, every pound of which is critical in the shipping business, and installation isn’t free. For small owner-operators working on already-thin margins, it could mean the difference between profitability or insolvency. Yet those positions uncomfortably pit profits against human lives. In a statement to The Hill, the American Trucking Association avoided directly opposing them, suggesting “the best . . . guard is one that never gets used,” that “the focus should be on preventing crashes through education, enforcement of speed limits, adoption of distracted and aggressive driving laws,” and technological advances, such as automatic braking. 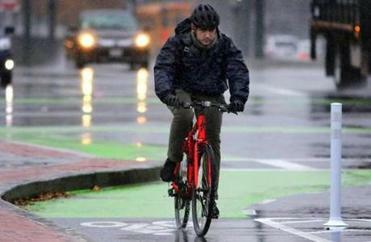 All that should happen — just as cyclists and everyone else using the roadways should pay attention and obey traffic rules. Side guards won’t prevent every tragedy, especially on the Bay State’s jammed and meandering roads, where infrastructure must constantly be improved to accommodate ever-evolving vehicles and uses. That improvement hasn’t happened on the stretch of Charles River Dam Road, says Cambridge City Councilor and Vice Mayor Jan Devereux, charging that the Massachusetts Department of Transportation that oversees the road hasn’t acted quickly enough. In a statement, MassDOT officials told the Globe those plans aren’t yet finalized, “due to numerous factors such as the need to accommodate many school buses turning into the Museum of Science,” as well as stakeholders’ concerns about a previous design proposal and increasing traffic volume in the area. The road improvements separating bike and motor vehicle traffic need to happen immediately. And the side guards should be more than encouraged. They ought to be the law.